Layer states let you save configurations of layer properties and states. For example, you might want a layer to be red sometimes, and blue at other times. You may need certain layers to be locked, off, or frozen when you’re editing one part of the drawing, but unlocked, on, or thawed when you’re editing another part. You could spend lots of time adjusting layer properties, but instead, you can use layer states — they’re much easier and quicker. Set all of the layer states and properties the way you want them. A good idea is to first save the default, “normal” situation before saving variations. 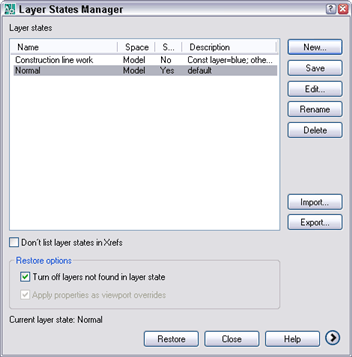 To open the Layer States Manager dialog box, open the Layer Properties Manager and click the Layer States Manager button. Click New and type a name and description for the layer state. Click OK.
Uncheck any states or properties that you don’t want to save. For example, if you don’t save the Color property, the color won’t be affected when you restore the layer state. Therefore, if you change a layer’s color and restore the layer state, the layer will remain the new color. If you want your drawing to exactly match the way it looks now, check the Turn Off Layers Not Found in Layer State check box in the main section of the dialog box. When you check this box, any new layers that you create afterwards are turned off when you restore the layer state. Click Close to save the layer state. You can continue to display desired states and save them until you have all the layer states that you need. To restore a layer state, open the Layer States Manager, choose the layer state and click Restore. Layer states are saved in the drawing. To share them among drawings, you need to export them. Each layer state has its own LAS file. To export a layer state, select it in the Layer States Manager, and choose Export. 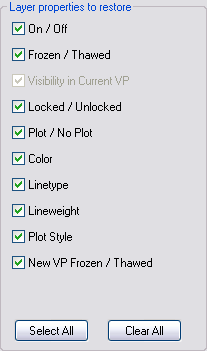 In the Export Layer State dialog box, enter a name, choose a location, and click Save. To import a saved layer state, open the Layer States Manager, and click the Import button. In the Import Layer State dialog box, choose Layer States (*.las) from the Files of Type drop-down list. Choose the LAS file that you want, and click Open. You can save layer states in your templates for maximum ease and to maintain CAD standards. Layer states can be an important method for controlling how your drawings look and speeding up the drawing and editing process. I have created a layerstate and I have exported it to shared with other files. I have then imported it to the files I want and did a restore to activate the layerstate. Now if I modify the layerstate and re-export it to the location I have it saved, do I need to re-import it to all the sheets that I have imported to or can i just hit restore to make the changes take affect. Can you explain a little more on how that all works. I just started using layer states with AutoCAD 2010, and one odd thing I’ve discovered is that there doesn’t seem to be a way to save layer descriptions with a layer state. When you import a state into another drawing, everything seems to come across except all the descriptions are gone – if you really want them, you have to type them in again! Am I missing something? Is there a workaround? or is this a bug? I haven’t heard of this. 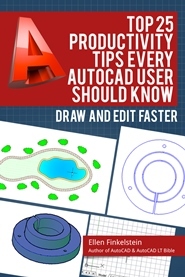 Trying asking on Autodesk’s AutoCAD discussion group. I am hoping this can be possible. I have created layer states and they work fine. But what I am looking for now is to be able to type in a shortcut keystroke that controls the layer state. I am more of a keyboard shortcut guy than a guy who uses drop downs, etc..
You can play around with the LAYERSTATE command. It opens a dialog box, but you can press Alt + the underlined letter in the dialog box. I can’t find a completely command-line method. Is there any possible way to match layer properties of the 2 drgs including xref layers? what do you do when restoring layers using Layer States Manager does not restore layer colors? Is there a way of associating a layer state with a view port? Having taken the trouble to set up a bunch of layer states, it would be very nice if I could simply create a viewport and tell it to use such and such a layer state instead of having to specify which layers of many are visible in the viewport. Don…you can assign a viewport in a layerstate. Go to the layout you want to assign. Switch to model space within the viewport you want to assign. Then create the layerstate that you want. It assigns that viewport to that layerstate. Good Luck! 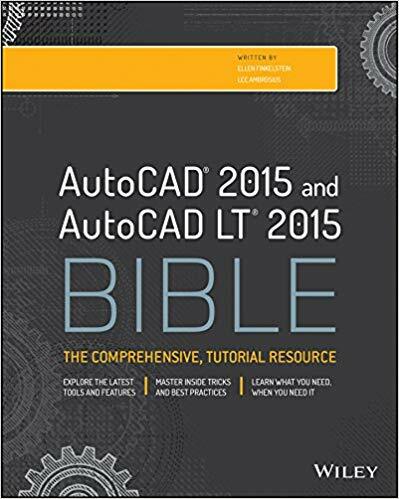 i am having problems changing from one layer state to another in autocad 2014 – any ideas? I know this is an old post but is there anyway of adding a set layerstate into the startup somehow so that all my drawings open with the layerstate i have created? If so wher do i need to place the .las file? What you could do is create a template file to open on startup that already has the layers set up how you want them. Does anyone know a way (an easier way than deleting layer states and starting over) to synchronize layer changes to layer states already created? In other words, I need to be able to make changes to layer prop in Layer Manager (so I can use filters) after the layer states have been created without having to go into every single layer state and repeating the same layer update x number of times in every layer state. (lots of them) I need to have the ability to globally make changes to multiple layers using Layer Manager without having to constantly edit the Layer States by hand; because every single LS has to be edited and those properties manually changed. I need a sync function? The “Restore” button is missing on my layer states manger dialog box?